It is well known that the industry is going to witness two landmark films early next year. 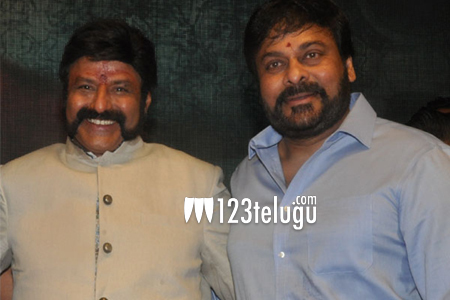 They are Chiranjeevi’s 150th film and Balakrishna’s 100th film. Both the actors were among the top four stars who ruled the industry for almost two decades. Now that both the films are progressing at a brisk pace, they share an interesting similarity. Dialouge writer Sai Madhav Burra is providing his trademark intense dialouges for both the films. VV Vinayak is directing Chiranjeevi’s 150th film, while Krish is helming Balakrishna’s 100th.